We present a study that investigates how graph format and training can affect undergraduate psychology students’ ability to interpret three-variable bar and line graphs. A pre and post-test design was employed to assess 76 students’ conceptual understanding of three-variable graphs prior to and after a training intervention. 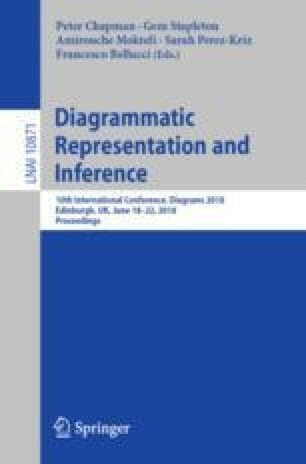 The study revealed that significant differences in interpretation are produced by graph format prior to training; bar graph users outperform line graph users. Training also resulted in a statistically significant improvement in interpretation of both graph formats with effect sizes confirming the intervention resulted in substantial learning gains in graph interpretation. This resulted in bar graph users outperforming line graph users pre and post training making it the superior format even when training has occurred. The effect of graph format and training differed depending on task demands. Based on the results of this experiment, it is argued that undergraduate students’ interpretations of such three-variable data are more accurate when using the bar form. Findings also demonstrate how a brief tutorial can result in large gains in graph comprehension scores. We provide a test which can be used to assess students understanding of three-variable graphs and the tutorial developed for the study for educators to use. This research was supported by a grant from the UK Higher Education Academy Psychology Network.